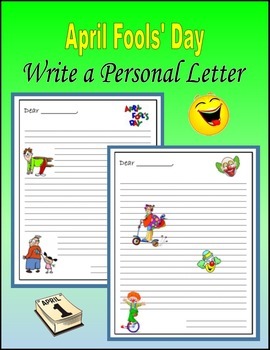 Write a Personal Letter for April Fools' Day. 30 different printable pages. 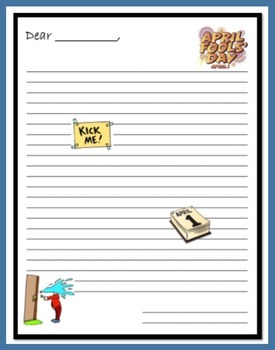 Students write a letter with a joke or silly story to their teacher, the principal, a tree outside, a friend, a stranger, their mom or dad, the president, or anyone they wish. 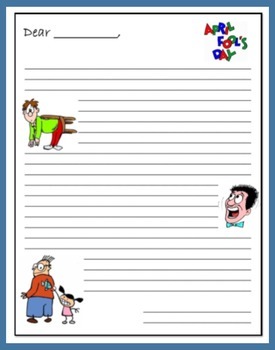 All pages have funny clipart and the proper format for a personal letter. Take a look at the Preview to see sample pages from this packet.